Spend $8k on solar for your home and save $100 per month on your energy bill. Spend $6k on solar for your business and save $300 per month on your energy bill! Homeowners get approximately 15%-17% return on their investment! Business owners get over 50% return on their investment! Savings typically pay back your investment about 6 years. After that your solar energy is FREE! 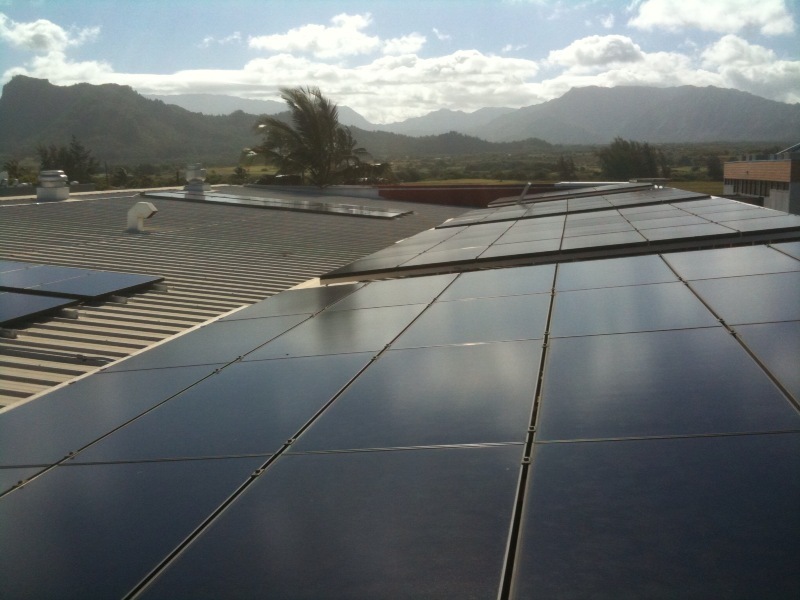 Kauai’s homes and businesses pay the hightest electricity rates in the nation. This is particularly due to our dependence on fossil fuel. The bulk of our electricity is generated from burning diesel oil. When fuel costs go up so does our electricity bill. Installing your own solar power can reduce or eliminate your exposure to rising electricity rates. 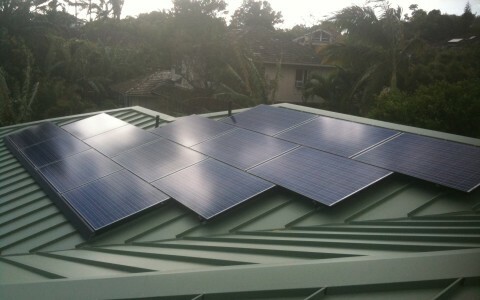 A solar power system can reduce or eliminate your electric bill. When you invest in solar you lock in a rate for energy for the next 25 years that is considerably less than you are already paying. As rates increase this difference will only increase, which will result in further savings over the life of the system. Designed to encourage individuals and businesses to generate their own solar power, these programs can pay for up to 55% of the total system cost for residences and up to 88% for commercial businesses! These programs include direct rebates, tax credits, and other financial incentives. Government incentives combined with recent decreases in solar equipment prices, make the investment in solar power a good financial decision for individuals and business owners. An investment in solar power can generate quick payback as well as long-term savings. Typical returns are up to 16% for homes and 50% for businesses! Photovoltaic Cells were originally developed for use in space, where repair is extremely expensive, if not impossible. Solar still powers nearly every satellite circling the earth because it operates reliably for long periods of time with virtually no maintenance. 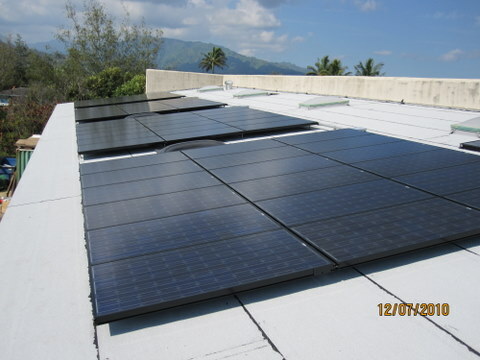 Once installed, the solar power system requires little or no maintenance, and will provide electricity cleanly and quietly for 25 to 40 years. Our solar energy systems carry a 25-year manufacturer warranty on all major equipment. Generating electricity from solar energy means less consumption of fossil fuels thereby reducing pollution and greenhouse gas emission. By switching to solar power you will be doing your part to combat global warming, and reduce our island’s dependence on fossil fuel. Being a green business can not only reduce your operating costs but can also be a great source of public relations and a good marketing tool. There are a growing number of consumers who make their buying decisions based on the perceived environmental responsibility of the company they are dealing with. Incentives - The Government is Anxious to Pay You to go Solar! The Federal government will give you 30% of the cost of your system in tax credits regardless of the size (no cap)! The Hawaii State government offers you even more! They will give you a tax credit equal to 35% of your system cost. For homeowners this incentive is capped at $5,000 per system. This means that homeowners can maximize the full 35% on systems that cost up to $14,286 ($14,286 x 35% = $5,000). However, for homes that require larger systems we can install multiple systems or in multiple phases over successive years to multiply this cap to ensure the full 35% benefit. Not sure what tax bracket you are in? The Federal government will give you 30% of the cost of your system in tax credits . For business owners you can also fully depreciate 85% of your system ! Depending on your tax bracket that could give you another 30% for a total of 60%! The Hawaii State government offers you even more! They will give you a tax credit equal to 35% of your system cost. What if I have little tax liability to use the tax credits?. Unused tax credits can be carried forward to future years so any unused tax credits are not lost. The State also passed a Senate Bill (SB464) that allows individuals to elect to disconnect the incentive from their tax liability and take a reduced incentive in the form of a 24.5% rebate check. This means that low tax liability is no issue. How long will these incentives last? Although these government programs are planned to run for the next few years they are subject to repeal if the governments find that they can’t afford it. Therefore it is prudent to get your system installed while they are still committed. Can I depreciate the cost of the system? Federal section 179 allows 5 year accelerated depreciation of 85% of your system costs. However, in December of 2010 Bonus depreciation was extended that allows for full depreciation of 85% of your system costs in the first year! State allows depreciating 100% over 5 years. The combined depreciation tax benefits amount to upwards of 35% of your system cost. Note: You may have noticed that the Hawaii State incentive is 35% yet we have listed in our opening calculation as only 25% (approximate after tax). This is because any income tax you pay the State is a tax deduction on your Federal tax return, and the opposite is true. Reducing the amount you pay the State means less deduction on Fed side. Essentially this mean you pay tax on the State solar tax credit. Therefore the real State incentive is the 35% reduced by your Fed tax bracket. It is important to recognize that both the Federal and State incentives are a tax credit, not a tax deduction. Tax credits are much better because it means that the government incentive is a dollar for dollar elimination of tax liability. For example, if you would otherwise owe $5,000 in state income tax but earn a $5000 solar tax credit, then you owe no State income tax. For those that have little or no State tax liability to utilize the credit the State passed a Senate Bill last summer (SB464) that allows individuals to elect to disconnect the incentive from their tax liability and take a reduced incentive in the form of a 24.5% rebate check. Call us Today for a Free Evaluation of Your Solar Options. When we first evaluated the Hoglund’s residence it was obvious that shading was a challenge. Although they have lots of roof area to harvest sun power they also have stately royal palms all around their home casting shadows on parts of the roof at various times of the day. To approach this challenge we first started by taking detailed shading measurements. With this information and utilizing sophisticated computer analysis we were able to accurately predict the impact of shading on various parts of the roof. This in turn enabled us to make a good decision on which parts of the roof to situate the solar panels and which equipment would be best suited to harvest the most power. What is the difference between solar electric and solar for my hot water? Many people are familiar with the black rectangle panels up on the roof that are used to harvest radiant heat from the sun to heat water. Solar electric (photovoltaic – PV for short) utilize panels that look similar but are smaller and thinner. 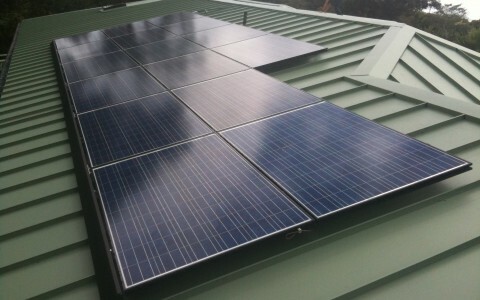 Whereas the panels for hot water are hooked up to your plumbing, PV panels are connected to your home’s electrical system. If you have a Solar Power System installed or plan on investing in one, it is vital to have your electric water heater changed to a solar water heater or gas water heater. How much does a PV (photovoltaic) system cost for a typical home? Energy use varies widely among households. Look at your electric bills and determine your average monthly cost. As a rule of thumb think in terms of paying $1200 to save $10 on your monthly bill. For example, you could spend approximately $24,000 to zero out a $200 monthly KIUC bill. But remember, that’s not the final cost. It’s much less. With tax incentives your real cost is about half of the up-front cost. With anticipated electricity savings you can expect healthy returns on your investment, or, if you borrow the money on your home, positive cash each month! * For more detailed investment analysis contact XMX Power for a free evaluation. Is there any risk that having the PV (photovoltaic) system on my roof will cause a leak? We only use the highest quality mounting hardware and sealant products. These products are designed to keep your roof leak free for the life of your roofing material. How long will the PV (photovoltaic) equipment last? We accept bank checks. We usually require a 10% initial deposit, 1/2 deposit at start of installation, and the rest at completion. If needed we can help you find financing options best suited to your situation. What if something stops working? Is there a warranty? Yes. We provide you a 3 year workmanship warranty and most of the equipment comes with a 25 year manufacturer’s warranty. 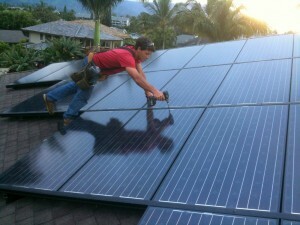 How does KIUC feel about us putting in a PV (photovoltaic) system? As long as you have a KIUC meter they are in the business of providing you a service. They provide a reliable power source and in turn you compensate them for this service. Regardless of whether you have a PV system or not they have to provide and maintain the infrastructure of the power grid in your behalf. Under KIUC’s schedule Q they agree to buy your PV power during peak sun hours at a lesser rate and sell it back to you at a higher rate. This differential provides them a reasonable compensation for providing the power grid service. It is possible that the PUC will mandate a new Net Metering tariff in the future. This would limit KIUC’s compensation for providing the grid service. Therefore they do not favor Net Metering programs. On the other hand there is big pressure both at State and Federal levels for utility companies to reduce carbon emissions. 92% of our electricity on Kauai comes from Diesel generators. For KIUC to comply with these carbon reduction initiatives they need renewable energy sources. We are providing that for Kauai. What is Net Metering and how does it affect me? 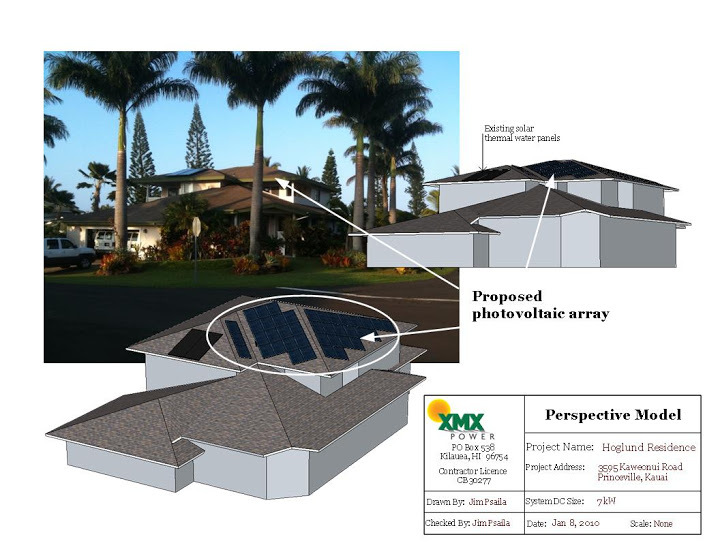 Net metering is not currently available for new PV installations on Kauai. Net metering basically allows you to use KIUC’s power grid as a virtual battery for your PV system. When your PV system produces more power than you need your meter runs backwards sending power back to KIUC. When your PV system does not produce enough power for your household needs then the KIUC power grid gives you back the power and your meter runs forward. Ideally the amount that your meter runs backwards offsets how much it runs forward so that at the end of the month you don’t owe anything! KIUC was mandated by the PUC to fulfill a certain amount of their customer base on Net Metering. They have fulfilled that quota and it is unclear when or if net metering will become available again. In case net metering does come available again there is a waiting list maintained by KIUC. Subscribing to Schedule Q automatically puts you on the waiting list for Net Metering. Currently KIUC is offering a Schedule Q program where excess PV power is bought by KIUC at the “avoided cost” rate, which is roughly 50% of the normal rate they charge you. A PV system typically over-produces power during peak sun hours so that this power can be used during cloudy or nighttime hours. When this excess power is bought by KIUC at the low rate and then sold to you later that evening at the higher rate there is a differential that cost you money. Homes or businesses that are heavy power users during daylight hours are less affected by the downside of this program. A way to mimic net metering is to use batteries to temporarily store your excess PV power during peak sunlight hours. In addition to saving you money on your electric bill battery systems provide the additional convenience of power outage protection. We can help you evaluate if a battery system is right for you. Have more questions? Please email us your questions and we will get back to you promptly. Is my roof facing the right direction for a solar electric system? Ideally the PV (photovoltaic) modules should be mounted on a roof surface pointing directly south. However, if your roof has a general south bearing you can still harvest a substantial amount of electricity. We can evaluate the exact situation of your home or business and predict the amount of electricity you can expect from a system mounted on your roof. 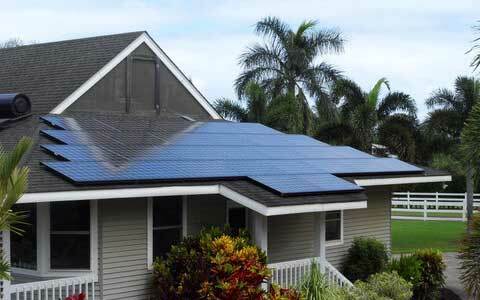 What are the tax incentives to install a photovoltaic system on my home? They are slightly different if you are a homeowner or a business. Residential tax incentives include 30% credit from Federal and 35% from the State. These are tax credits not deductions which means it directly reduces the amount of money you pay in tax. As you can see this means that between the State and Federal contributions they pay for 65% of your system! However, since you are taxed at a Fed level for the State incentives your true total incentive will likely be closer to 54%. For more detailed explanation of the tax incentives visit our Incentives for Residences pages. Commercial tax incentives include 30% credit from Federal and 35% from the State. Businesses can also depreciation the solar asset for yet another level of tax benefits. In 2012 you can even take 50% of the depreciation in the first year! What this all boils down to is that the government will pay up to 85% to go solar! See details on our Incentives for Businesses page. What do I have to do to take advantage of the tax incentives? We have prepared an information package that contains all the forms and reference material to properly claim the tax incentives. This package will provide all the necessary materials for you or your accountant to apply for the government incentives. Can I expense the system under the Section 179 tax code? Businesses cannot elect to expense a PV (Photovoltaic) system under the section 179 and take the section 38/48 tax credits (see IRC regulations 1.179-1(g)). However, you are able to take a “Bonus Depreciation” which allows you to fully depreciate 85% of your solar asset within the first year. Will I have electricity if the power from the electric company goes off? Typically, no. However we can provide this option – to keep the power on when KIUC power goes down. This would entail installing battery backup and other special equipment which does add to the expense of the system and will require some ongoing maintenance. Depending on your pattern of electricity usage this option may also make your system more efficient under KIUC’s schedule Q rate plan. We can help you evaluate your circumstances to see if this option makes sense for you. What does XMX stand for? Our family name, Psaila, is Maltese (Malta is a little island off the cost of Sicily). In Malta the word for “sun” is “xemx”. We have taken the liberty to abbreviate by taking out the middle e. Therefore, when translated our name reads “Sun Power”. What if my roof is going to need replacing in the next few years? You can choose to reroof the section where the PV system will be installed or the whole roof before we install your PV system. However, if there is still substantial life left in your roof it may make sense to install the system now and temporarily dismantle the system later when needing to reroof. We can provide this professional service at minimal cost. I would also like to do solar hot water. Does XMX do that? We can certainly help coordinate that for you. However, to take advantage of the rebate program you need to hire a KIUC certified plumbing contractor. It is important that the design and location of the solar hot water is compatible with your PV system. Therefore please make sure to get us involved before installing your solar hot water system. Will the PV (photovoltaic) system require any maintenance? One of the beautiful things about a PV system is that it has no moving parts! Therefore there is little to wear out or go wrong. However, there are some simple maintenance items that can maximize system performance and prolong the life of the system. We can provide simple maintenance guidelines for you or you can hire us to do it for you. If you’re like us, you want a home energy system that just works. A system that makes your life easier – and saves you money – but one you don’t have to think about. Our Home Energy Solution combines solar, storage, and software that tracks your production and consumption: an all-in-one solar energy system that maximizes your savings while you’re busy living your life. Our software gives you a real-time, in-depth view of your system production and energy consumption, so you can make informed choices about your energy use. 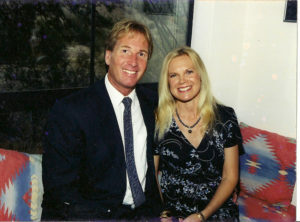 Our focus on Kauai ensures that we are attentive to the specific needs of Kauai residents. If there is ever any need to repair a system component we are able to respond immediately.